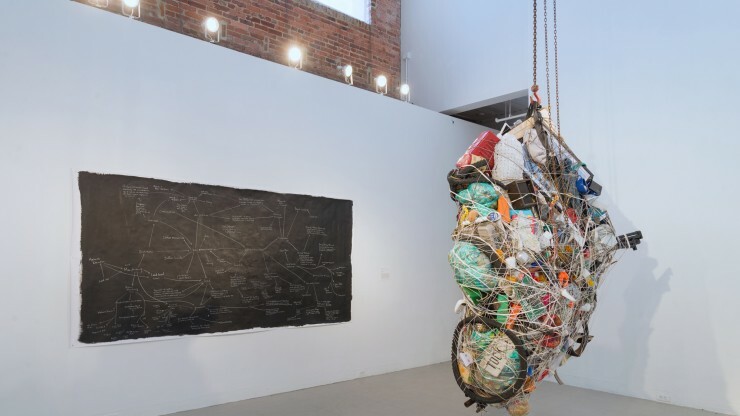 The Curatorial Practice Concentration allows Graduate students to earn a mark of distinction that demonstrates their dedication to Curatorial Practice as a critical, collaborative, and creative pursuit. It is a pursuit that relies on writing, research, fieldwork, teamwork, design, public proposal, presentation, hands-on production, community engagement, and public programming. Overseen and managed by the director of the M.F.A. in Curatorial Practice and the Office of Graduate Studies, this concentration is formed through the successful completion of (12) twelve credits (or four, three-credit courses) of graduate-level work in courses described below and following approval of documentation of a final project. Students will analyze exhibitions to understand how exhibitions can entertain, instruct, alter perception, energize the community, and keep pace with culture. Students will consider the impact of different exhibition strategies and multi-disciplinary work. Students will support their peers and work well in teams. Students will relate their work to their own interests. Synthesize information from multiple sources into exhibitions and writing. Communicate with clarity through a public presentation. Compose an expansive view of the field of curatorial practice by evaluating contemporary and historical exhibitions. Create accessible exhibitions and programs. Work well in teams to create exhibitions and related materials. Students in other programs who are interested in the concentration should contact their advisor, the Associate Dean of Curriculum and Assessment in Graduate Studies, or the director of the MFA for Curatorial Practice.